Our First Aid & CPR class; also known as Emergency Response Training will help prepare you for life’s unexpected medical emergencies. We are a business to business provider and this is the BEST First Aid/CPR-AED class you can find in South Florida bar none. It might be a friend, a neighbor or your child that requires first aid or CPR. Are you ready to step up? Your intervention can mean the difference between life and death or between a fast recovery and a life long disability. Have you ever witnessed an accident but didn’t know what to do? Perhaps you were out to dinner on a date or with friends enjoying good food; good wine and good times when suddenly something went terribly wrong. Your friend got up but couldn’t speak, their face turned red and then abruptly they collapsed to the floor. You’re in the mountains on vacation hiking, and a member of your family gets injured. You are isolated and you’re not getting a signal on your cell phone. Do you know what to do? Are you prepared to administer first aid in order to stabilize and comfort them until you can get to a hospital or urgent care center? Everyone at some point in their life is in a situation where first aid is required; either they are the victim or the provider. If a co-worker started complaining about pains in his chest, what should you do? If you go out on a dinner date or with a friend and they suddenly had a severe allergic reaction what is the proper protocol? 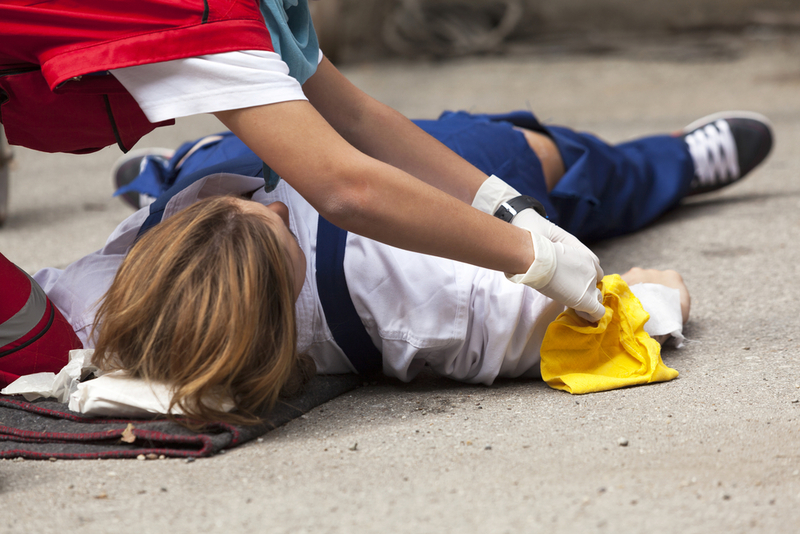 If someone you are with suddenly collapsed and were unresponsive, do you know what to do? These are very real possibilities with the people you interact with on a daily basis. Any of these situations could occur; you are either prepared or left feeling helpless. Pulse America’s First Aid & CPR AED class prepares you to respond so that you can comfort and stabilize a victim until emergency rescue arrives. This First Aid & CPR class is about five hours and will help prepare you for basic life support in an emergency. It has been a long lasting tradition to combine First Aid with CPR to provide a comprehensive training solution. Our emergency response classes are fun, interactive, hands on and scenario based. Our instructors will make you think, react and we will definitely be in your face. We don’t come with any boring videos that you will sleep through. When we leave, your staff will be talking about it and in the back of your mind you will leave this class feeling self-reliant knowing that you can maintain virtually any situation. Our First Aid & CPR class will Abdominal Thrust / Heimlich Maneuver provide you with not just the knowledge but the skills to deal with an emergency situation whether it’s from an injury or sudden illness, in the workplace or at home. Our classes can be customized for your place of business, any medical or trauma emergencies you have experienced in the past or anticipate experiencing in the future will be incorporated into your training. At Pulse America we talk to a lot of people, a common answer we hear is “we call 9-1-1 for an emergency.” If someone needs CPR, it is critical for survival to start CPR as soon as possible. CPR circulates the blood carrying vital oxygen to the brain and organs in the body. Without this oxygen, brain cells start dying immediately and irreversible damage happens within minutes. 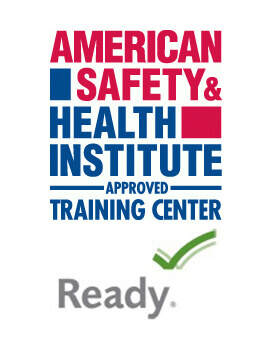 Our Emergency Response Training will prepare you for virtually any life-threatening situation. You will have confidence by knowing what to do whether the situation requires CPR or if a bleeding emergency is happening. Someone dies from heart disease every 34 seconds in the United States. Someone dies from Sudden Cardiac Arrest every two minutes. Think of the peace of mind you get by being prepared to handle the unthinkable. 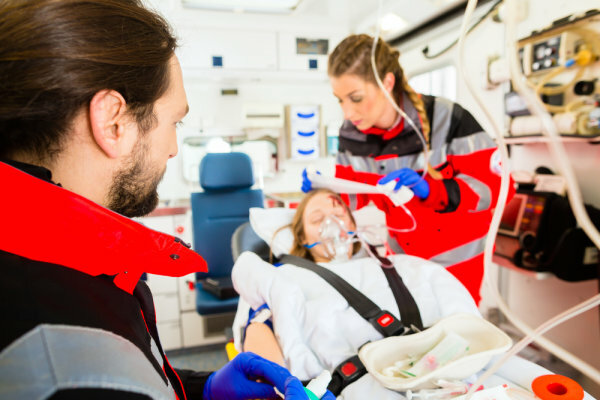 Pulse America provides you with Emergency Response Training programs that have been updated with the latest science for first aid, CPR and emergency cardiovascular care. 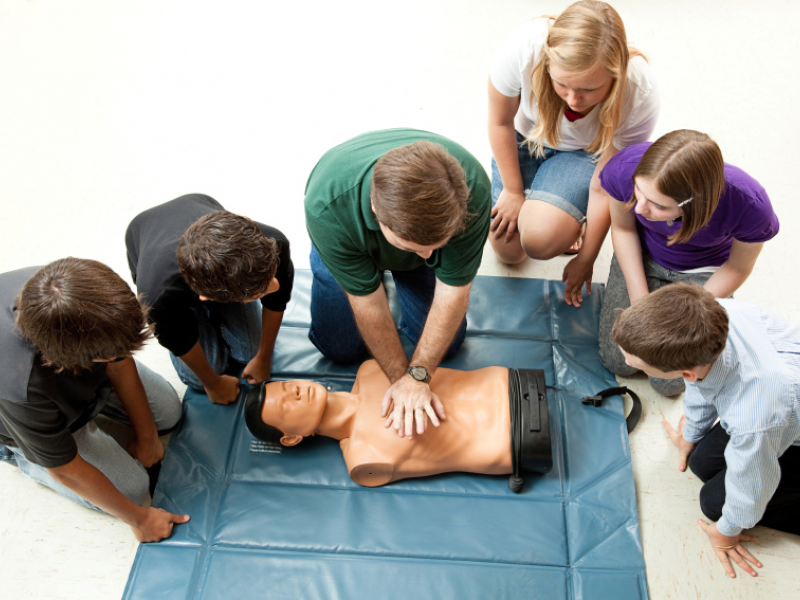 Our CPR class will include the use of an Automated External Defibrillator (AED). You will leave feeling self assured about your abilities to deal with a life threatening emergency. The health of your employees is important to your company’s bottom line. If someone is out for an extended period of time, it places additional burdens on other parts of your business and jeopardizes any current project in the works. Late deliveries, cancellations and charge backs are not an acceptable outcome in today’s business climate. A comprehensive, enterprise-wide health and safety plan won’t guarantee complete safety but it will mitigate the risks your organization faces and help you sleep better at night. Pulse America comes to your business, organization or group and trains your employees to be prepared. There is no worse feeling than feeling helpless.